Please contact the Leisure Centre for the costs per session/membership. Please contact Sara for advice on the best session for you - 01934 744939. 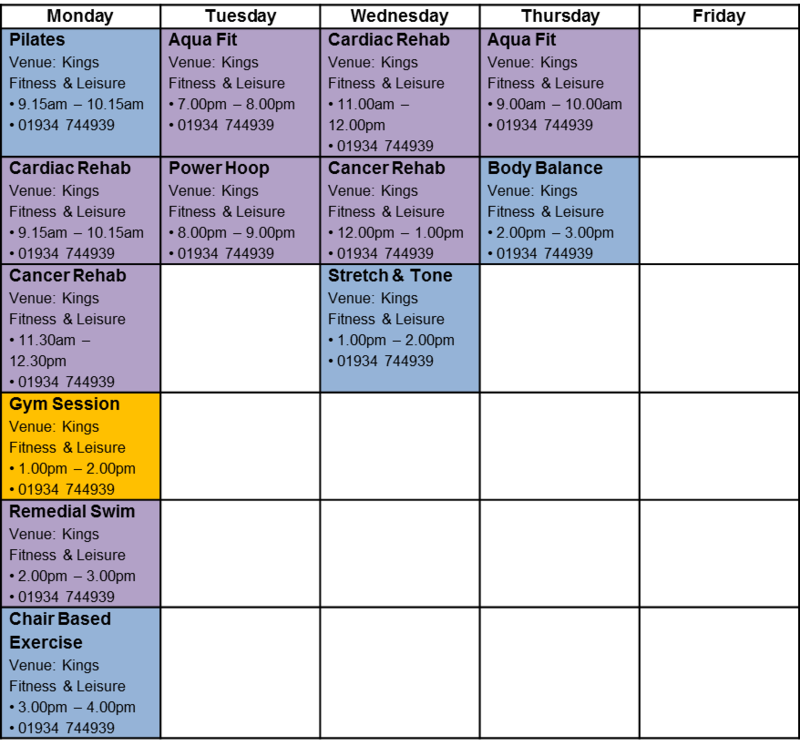 Please contact the Leisure Centre for the cost per session or membership. Please contact the individual instructors on the best session for you - 01749 670055. Caroline has the the following qualifications: BSc (Hons) Sport Science and Administration, BACPR Cardiac Rehabilitation Exercise Instructor and is a Referral Programme Consultant. Jo is qualified in GP referral with many years of experience, in addition she has the following qualifications: Level 3 Adapted Physical Activity, Level 4 Cardiac Rehab, Postural Stability, Obesity and Diabetes and Mental Health. Lin has worked in the industry for 22 years and has been working at Wells doing referrals for 13 years. She is also qualified in Cardiac Rehab. 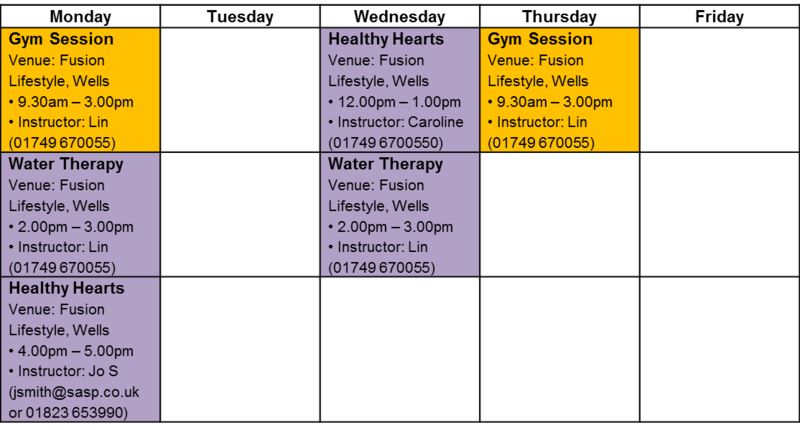 Kings Fitness is a thriving centre in the heart of Cheddar. We provide the community with a number of services, including a 25m Swimming Pool, Fitness Gym, Sports Hall, 2 Fitness Studios and a friendly café. We also have an Exercise Referral programme that aims to help people either back into fitness, or take their first steps into fitness after an injury or medical condition. Sara, our exercise Referral Coordinator is with you every step of the way, giving you a tailored programme to meet your needs.